FORGET EVERYTHING YOU EVER LEARNED ABOUT COLOR THEORY. 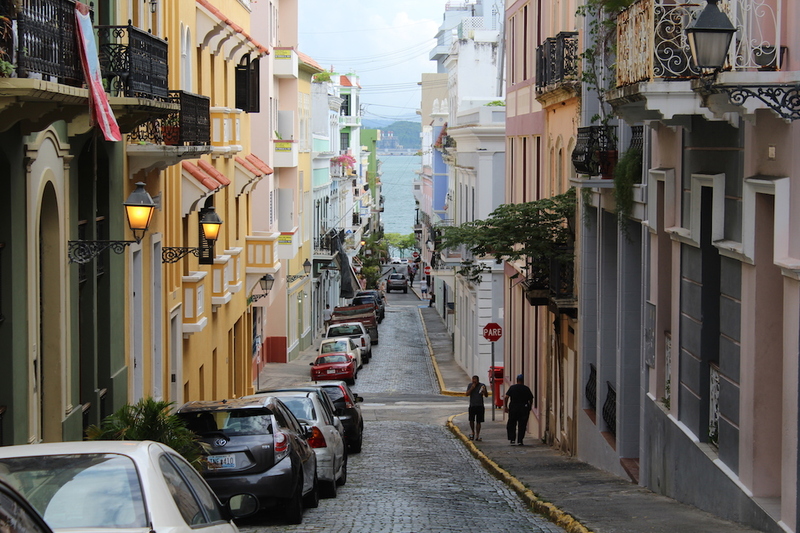 Pastels and primary colors don’t clash in the streets of San Juan, Puerto Rico. 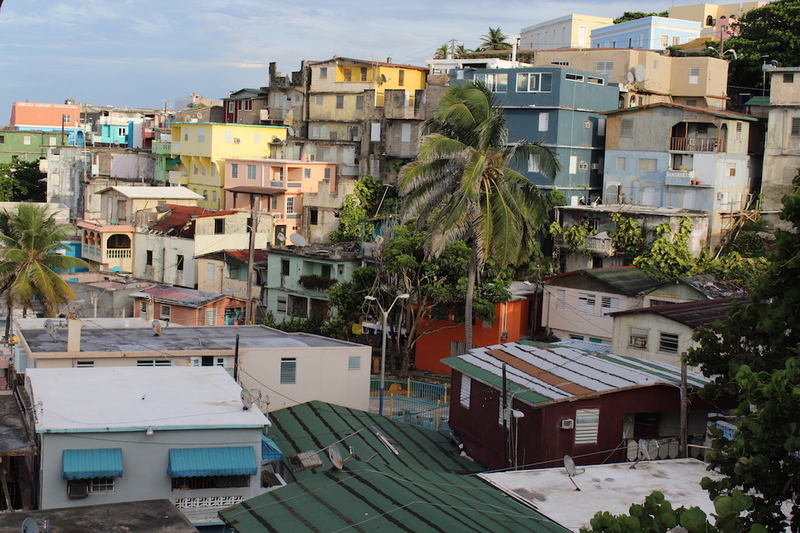 But it’s not just the colors that are vibrant in San Juan. The people and the culture will make you want to ditch your drab city for an atmosphere that’s a bit more exciting and stimulating. 1. 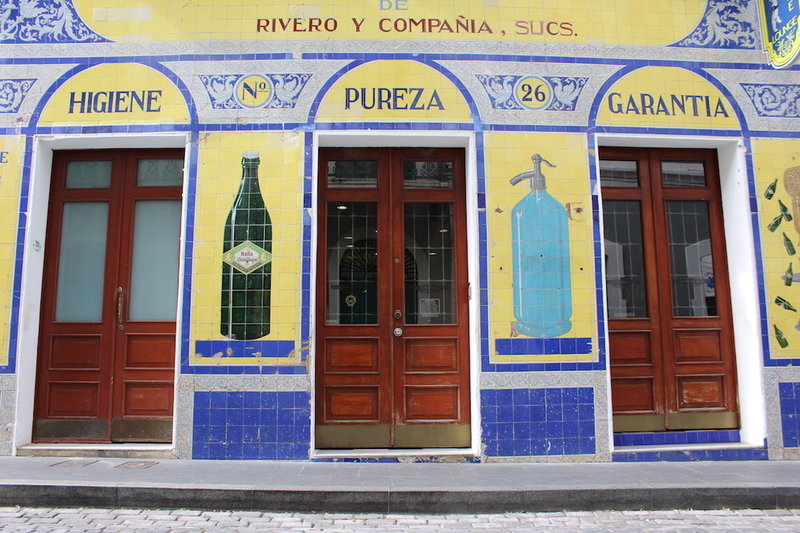 Behind these vibrant tiles and wooden doors is one of San Juan’s chillest jazz lounges. With a backlit library of world class whiskey and rum paired with the jazz freestylings of local musicians, at Polo Norte you’ll feel classy regardless of how much salt and beach sand is still in your hair. 2. 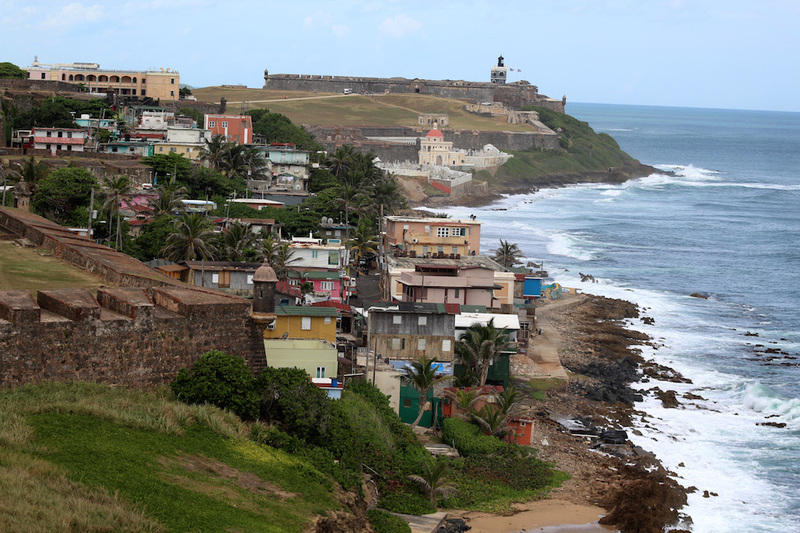 Between two forts — a wall and the ocean — is the resilient community of La Perla. What was once a place where drugs were dealt around San Juan is now a community of service workers, students, and artists whose makeshift houses constructed of reclaimed and recycled materials have stood for generations. 3. Castillo de San Cristobal. 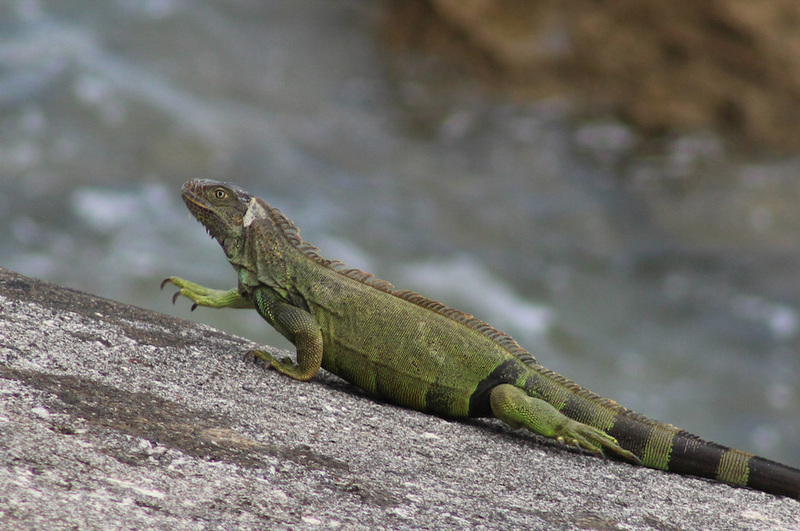 What’s an exciting encounter for me is an everyday sight for someone living in Puerto Rico: Iguanas roam freely throughout the city. 4. I passed this woman while biking toward the center of the city and ordered a cup of coconut-flavored limbers. 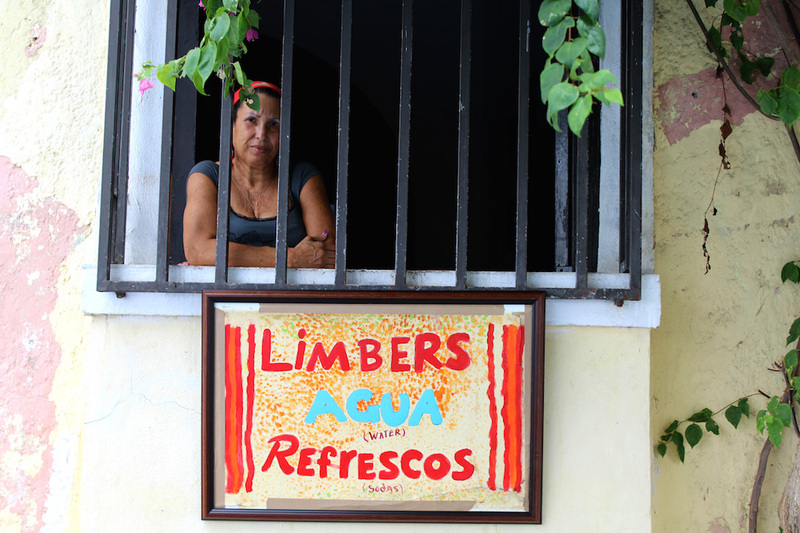 Hand-painted signs, like this one, let passersby know that this home sells refreshing treats. I wasted no time slurping down my icy limbers. 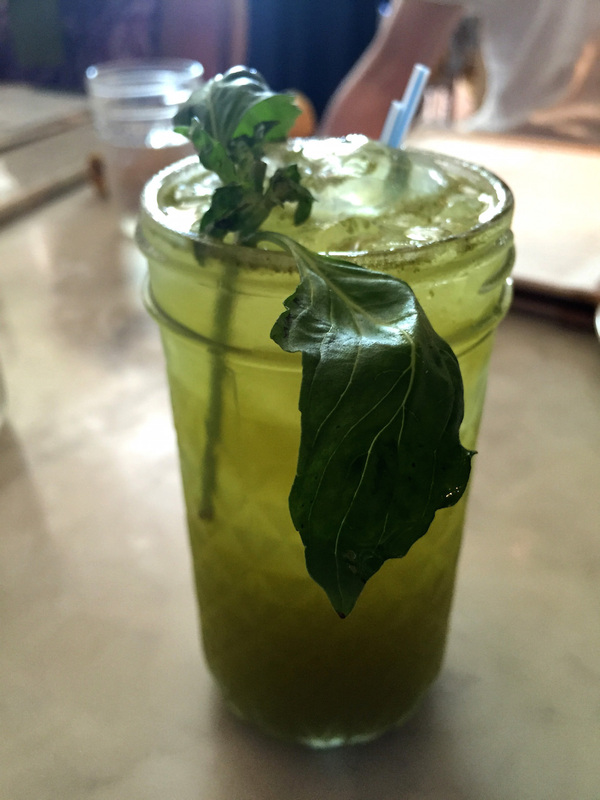 After biking around in the hot and humidity, it was worth the brain freeze. 5. Old and secluded — the perfect formula to brew up superstitions. 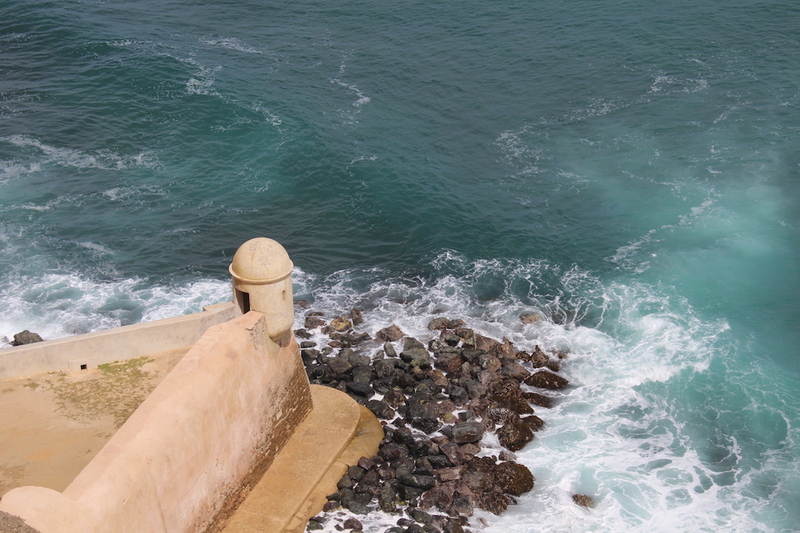 La Garita del Diablo, or “The Devil’s Guerite” juts out over the Atlantic and is one of the oldest and furthest watch towers of Castillo de San Cristobal. While touring the fort, our guide refused to take us there because it is believed to be haunted by a soldier who disappeared one night during his watch duty. 6. 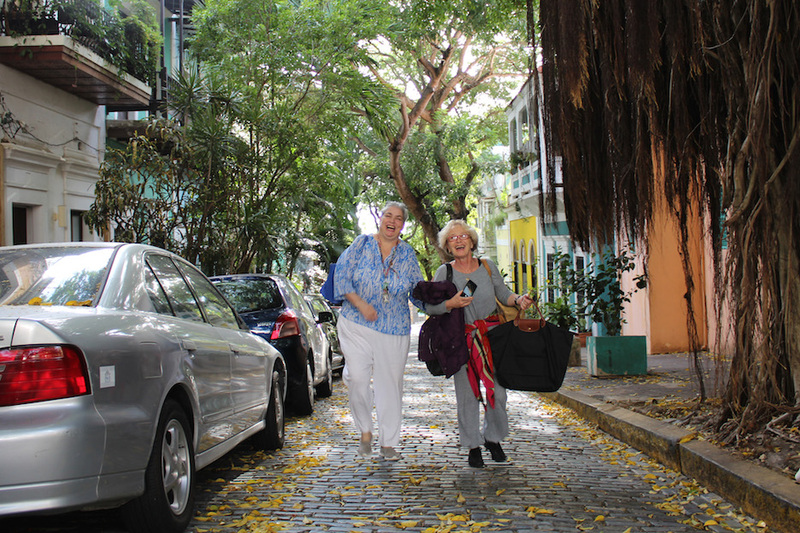 All streets lead to the beach when you’re on the island of Old San Juan. 7. 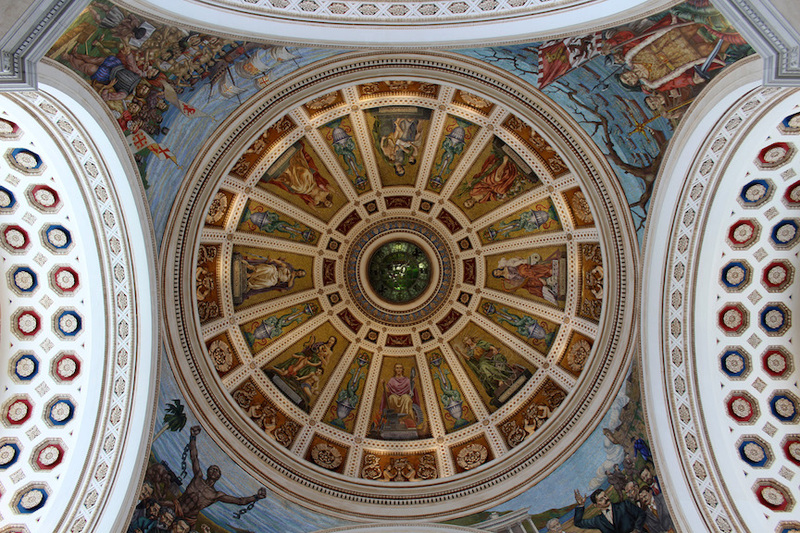 From Christopher Columbus and Ponce de Leon, through the abolition of slavery, to being declared a Commonwealth, the ceiling mural of El Capitolio is an ornate depiction the origins of Puerto Rico and overlooks The Constitution of Puerto Rico. 8. I really wanted to take a picture of Calle Fortaleza, the street that leads up to the Governor’s mansion. It seemed so playful with the sun coming through the trees, illuminating the colorful houses. But before I could take my photo, two older women entered my frame. I waited, crouched in the middle of the street, completely unnoticed for 10 minutes while they took a few of their own photos. I was annoyed and felt a little (a lot) entitled to take an unobstructed photo. I was there first, I had the equipment, and my legs were shaking from squatting for so long. When they turned around and finally saw me hunched over and sweaty, glaring at them, they began to laugh. I laughed at myself too, and felt a little immature for getting so pissed in the first place. They had just as much of a right to be there as I had. I snapped this photo which I feel ended up being a better shot. Their smiles bring out aspects of the street I was trying to capture. 9. 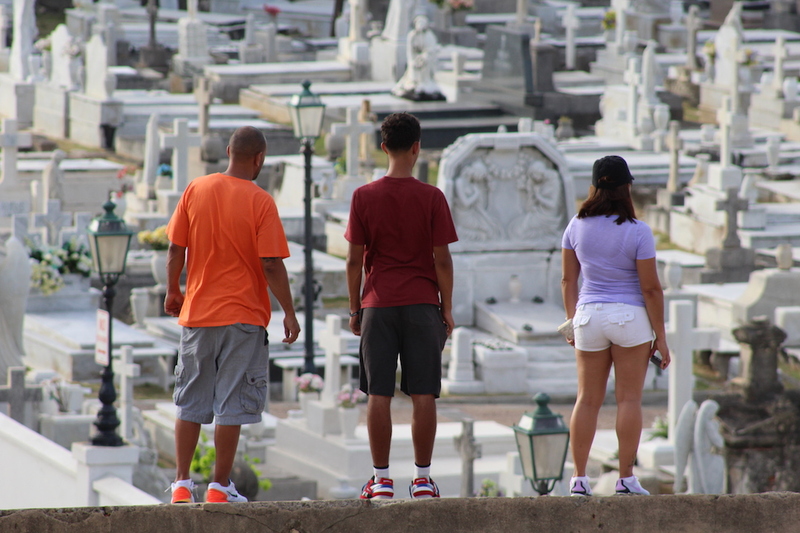 A family looks over the wall at the Santa María Magdalena de Pazzis Cemetery, the final resting place to some of Puerto Rico’s most important leaders, artists, and celebrities. 10. La Perla is a favorite among surfers. It has one of the most popular beaches to catch waves. 11. Salsa dancing erupts almost every night in San Juan. 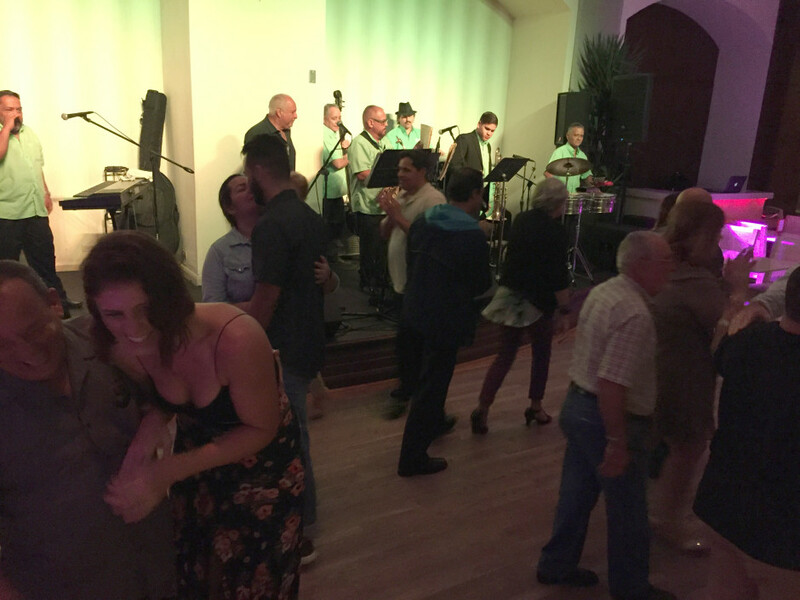 This scene took place on the dance floor behind the bar of my hotel, San Juan Marriott, where locals dance to the salsa music of a live band. Kissing, hugging, laughing, dancing — a lot happened that night. Including the startling discovery that I am a terrible dancer. 12. 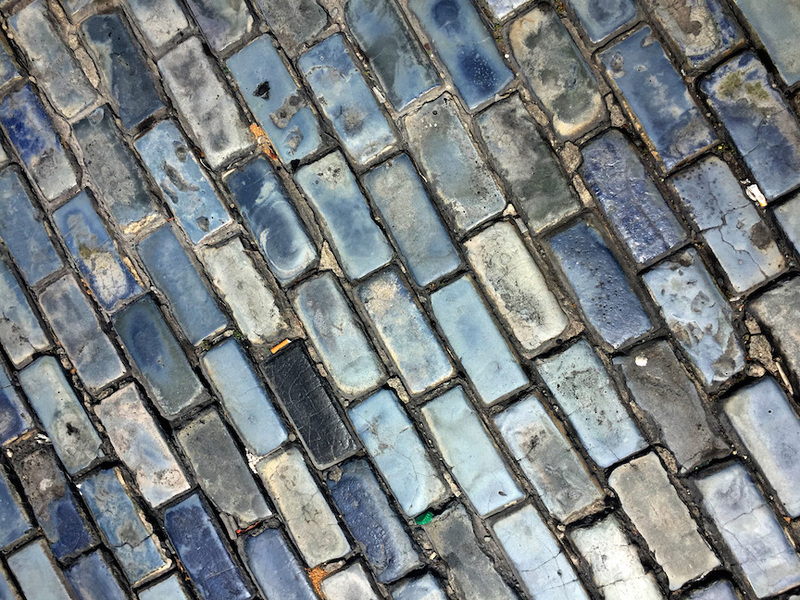 Blue cobblestone streets are a common sight around Old San Juan. Many of the old, uneven streets are being repaved, but some original cobblestones from 1784 can be found along Calle del Cristo. 13. Mountains, tropical rainforests, beaches, deserts. 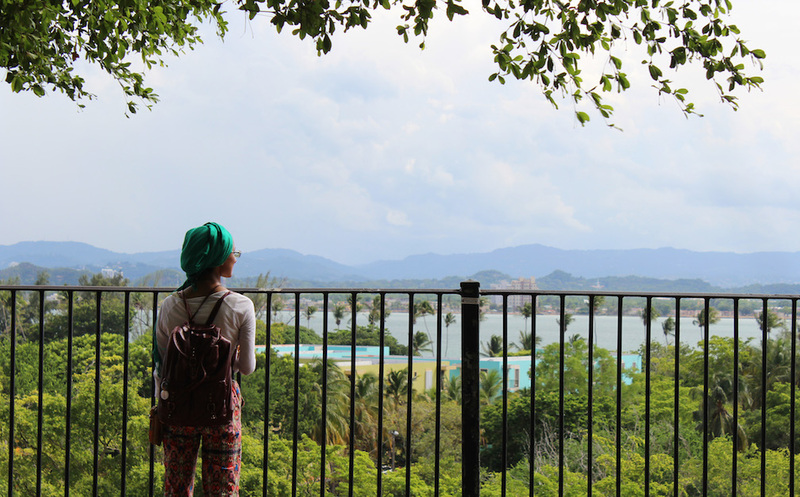 Puerto Rico’s landscape is diverse. 14. 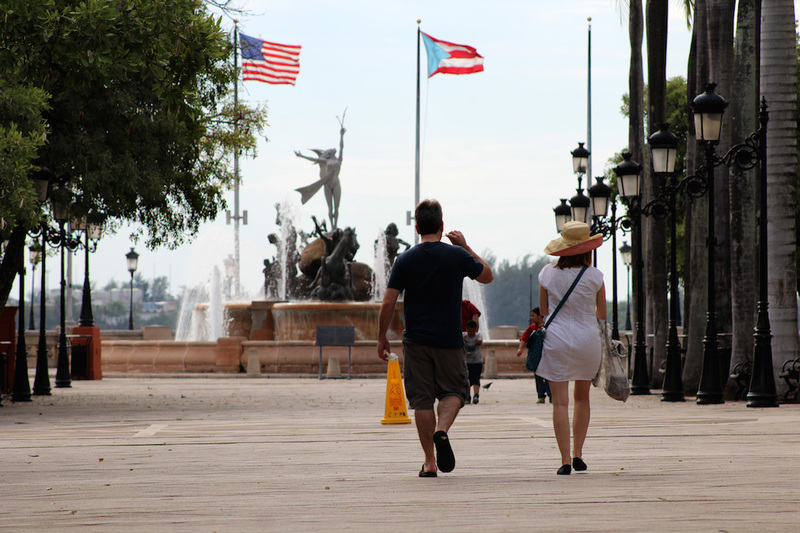 The Raíces Fountain, also known as the Roots Fountain, is a symbol celebrating Puerto Rico’s diverse heritage which is made up of African, Spanish, and Taino/Amerindian roots. 15. 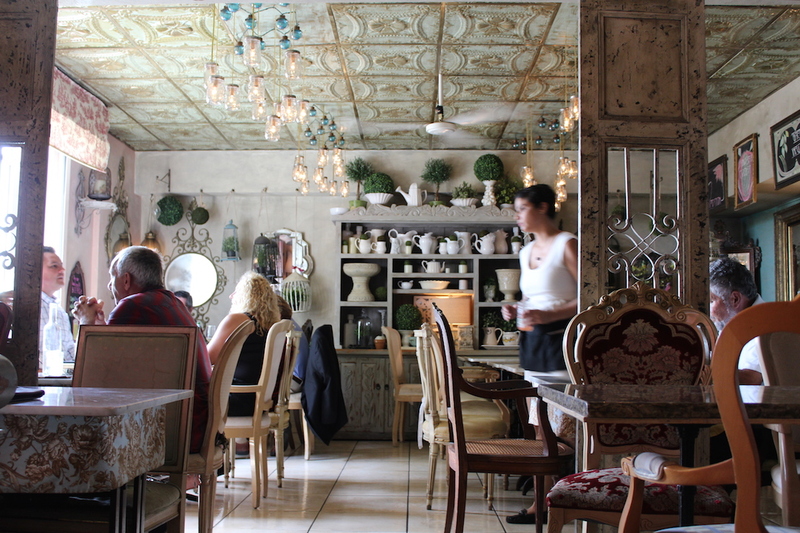 Verde Mesa — an eclectic cafe in Old San Juan — uses fresh local ingredients to serve up vegetarian versions of Puerto Rican favorites. 16. Channeling Hunter S. Thompson and embarking on my own Rum Diaries journey, I indulge in an afternoon tea with a splash of rum. 17. Puerto Rico offers some of the world’s best conditions for the coffee bean to grow. 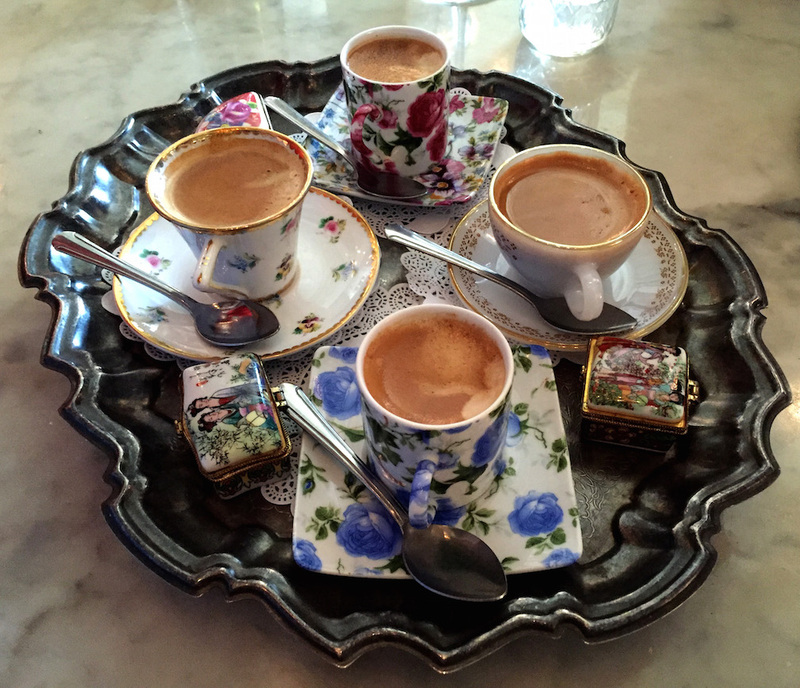 As a result, premium quality coffee can be found throughout the island. At Verde Mesa cafe, I take my coffee Cortadito: an expresso with a little bit of steamed milk. For this piece, the author/photographer stayed at the San Juan Marriott Resort & Stellaris Casino, centrally located in Condado and close to Old San Juan.